Based in San Francisco, 15Five are all about continuous performance and the development of staff. Their vision is to unlock the potential of every member of the global workforce. Alan Colquitt is author of ‘Next Generation Performance Management’ and since working with 15Five his paradigms have shaped the way they operate. 15Five came to us so we could help them spread the word about these paradigms, a new approach to performance management. In visualising the work of 15Five and Alan Colquitt, our challenge was to create an explainer video that spoke to new and existing audiences that included CEOs, business leaders and HR teams. Avoiding an instruction manual style, we had to highlight the problems in performance management while keeping a strong focus on the solutions. 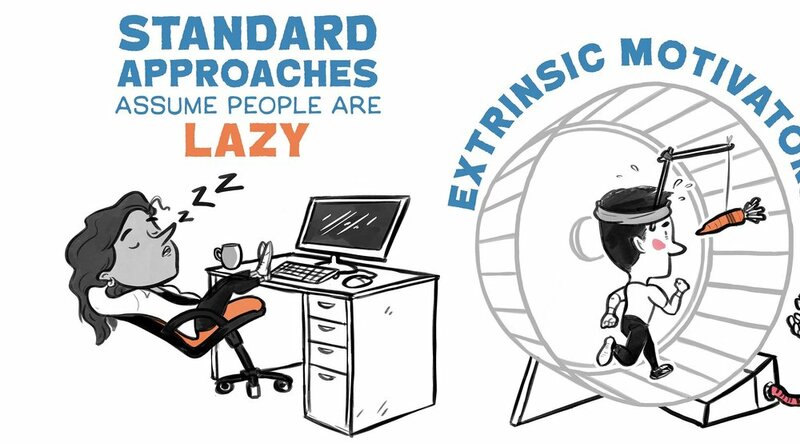 In the past performance management in business has wrongly assumed that people are lazy. 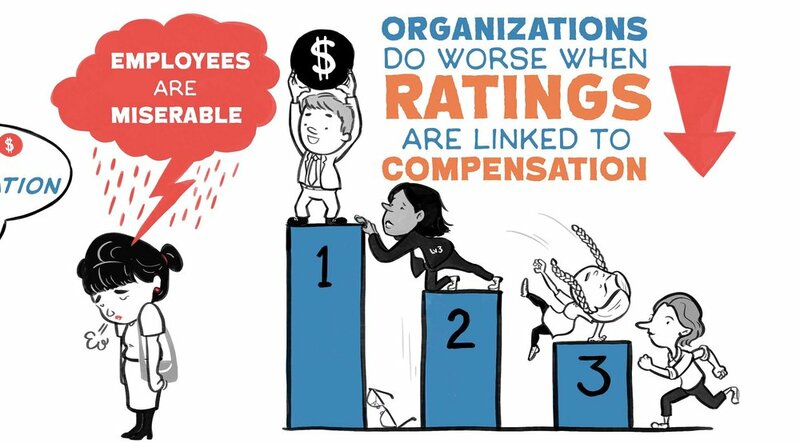 It has used extrinsic motivators like ratings and payments on performance. Money does not equal performance, science shows this traditional paradigm doesn’t work. The solution to this ineffective way of motivating people is to among other things leverage people’s strengths and pay them the market rate. To bring this to the screen we used a range of relatable characters that reflected the narrative of the old and new paradigms. These characters brought a range of visual metaphors to life that embodied these paradigms, problems and solutions. Metaphors such as hamster wheels and mountains presented clearly what 15Five were explaining - supported by a range of other icons. The result, an explainer film with a strong solution focused message and a strong visual language. 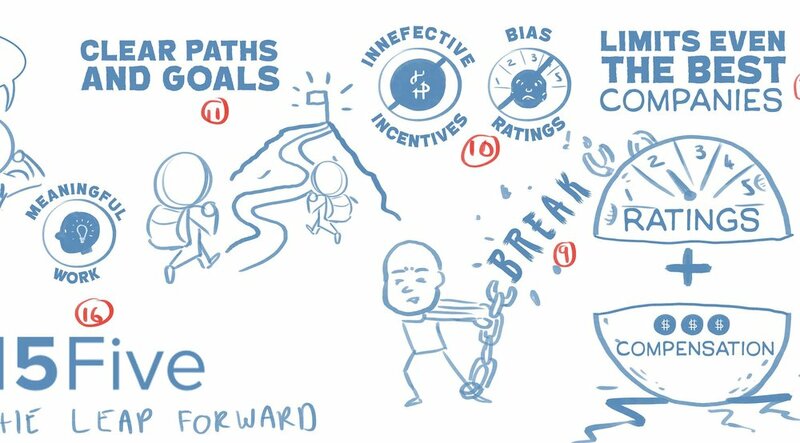 Find out more about the way 15Five are challenging outdated performance management paradigms here on their website.